The Sighnaghi Museum is located in the charming Sighnagi town, region of Kakheti, Georgia. The Sighnaghi Museum was founded in 1947. The first exhibition opened on December 31st, 1950, comprising seven hundred artifacts. The Painting Gallery was founded at the museum in 1967, furnished with donations from well-known and beginner artists. Today, the ethnographic collection features five thousand artifacts, including textiles, copper and wooden domestic items, agricultural instruments, materials corresponding to viniculture, goldsmith works, different types of working instruments, and musical instruments. The museum also contains a rich numismatic collection of about two thousand coins, among them ancient Sasanid Persian coins, and coins minted by Georgian monarchs Tamar, Lasha-Giorgi, and Erekle. Photo and documentary collections numbering around five thousand, and archeological exhibits are also represented in the museum reserves. The Kakheti Archeological Research Base, co-existing with the Tbilisi Ivane Javakhishvili Institute of History, Archeology and Ethnography was founded in 1973. Its expeditions enriched the archeological collection of the museum. The Sighnaghi Museum joined the Georgian National Museum complex in 2007. The museum building was reconstructed, security systems were installed, new exhibitions were held, museum funds were supplemented, and the number of artifacts reached sixty thousand. 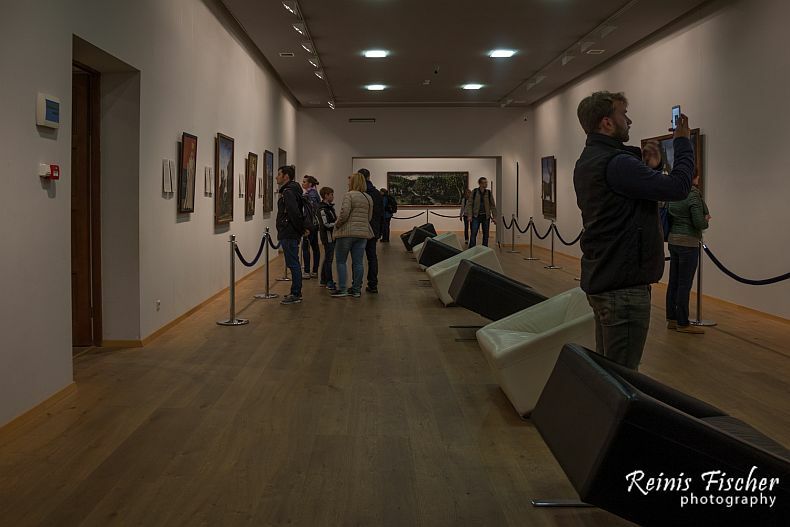 On the second floor, visitors can find the permanent exhibition of the greatest Georgian self-taught artist of the late 19th-early 20th century, Niko Pirosmanashvili, often known simply as Pirosmani. The second floor also hosts numerous temporary exhibitions throughout the year. This hall hosted a Picasso exhibition in 2009 and a Western European exhibition in 2010. In contemporary Georgian history, the Sighnaghi Museum is the first museum to perfectly meet the Georgian National Museum Standards. Today, the museum represents a top-tier cultural, educational, and scientific institution.